Students will explore the winter sky at night.Students will understand why the winter is a perfect time to see the stars and constellations. This makes a great lesson for January, February and March and will focus on the constellations visible at that time. Conduct these lessons over several class periods, depending on your needs and your class schedule. Gather pictures, charts or drawings of common constellations in the winter sky as well as books about constellations, planets and stars. Make sure you have black and blue construction paper and aluminum foil on hand for the art activity. Discuss with the class how the sky at night in the winter is different from the sky in the summer. Constellations are different; we see different stars and planets.The sky is easier to view. Ask the class to talk about constellations or bright stars they know about and/or have seen in the winter sky. Have the class observe the sky that night and sketch it. Ask them to name any constellations they may already know about. In the next class have the students discuss what they saw. Discuss any named constellations; where they can be found, how many stars, etc. Choose several constellations and bright stars to learn more about: The Big Dipper (Ursa Major), Little Dipper (Ursa Minor), Pleiades, Leo (the Lion), Aries (the Ram), Draco (the Dragon), Cepheus (the King), etc.Bright Stars: Sirius (Canis Major), Procyon (Canis Minor), Betelgeuse (Orion’s right shoulder), Bellatrix (Orion’s left shoulder). Divide the class into groups. Ask each group to choose (or assign) two constellations and one bright star to learn about by research and observation. The bright star they pick should be a part of their chosen constellation. (Most constellations have at least one bright star.) The groups should sketch the constellations individually after at home observations. Each group should together create a large sketch of the constellations (on poster board sized paper, etc.). At this point have each group find stories, legends and myths that are associated with their chosen constellations and star. Students should become familiar with this story to retell. Utilize books, computers, etc. in discovering the stories. Ask the class to present their constellation, star and corresponding stories to the class. 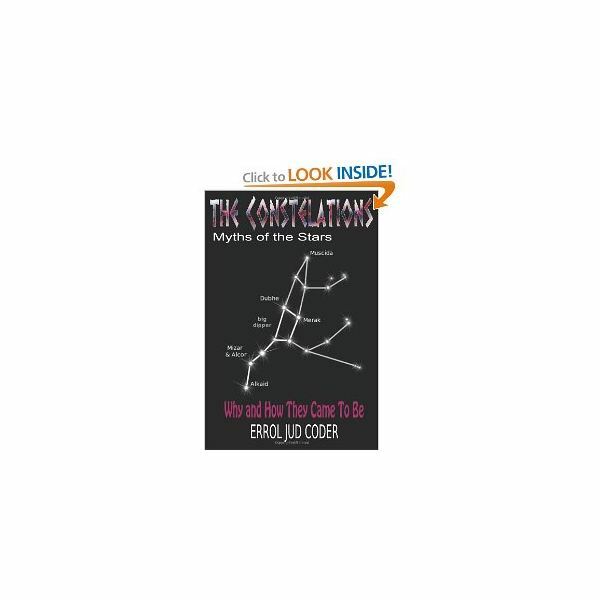 book(s) about constellations, stars and the myths that accompany them. Using foil and blue or black paper have the students recreate their constellations. Do this by putting holes in the foil in the same pattern of the constellations. Attach construction paper on the back to represent the sky.